Our website is leading platform for the computer training courses in Urdu and Hindi Language we support every one online in field of information technology. 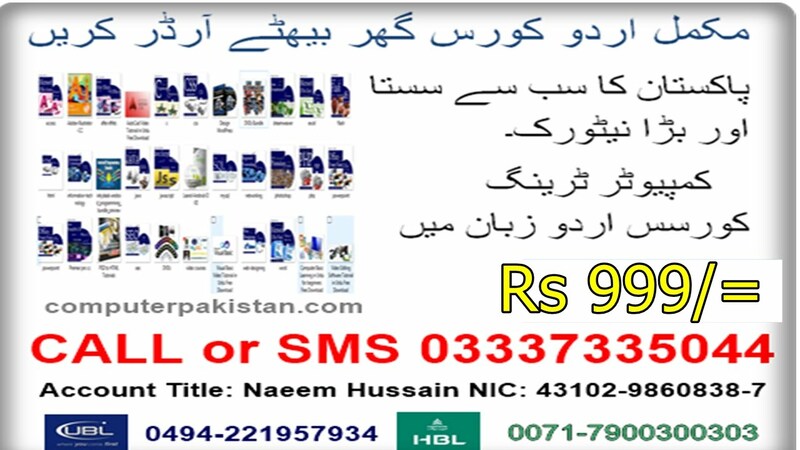 How to buy these computer video tutorials from computerpakistan.com it is very simple to buy all our computer learning course just visit and place your order so simple so say. How to learn with our video training tutorials? Let me define you a thing about our official training course dear friends we are professional computer instructor. We are teaching since 2012. We love to work with online platform. Our video tutorials made in so easy to understand. We provide this service free of cost. You can download computer training tutorials from our official website. Above training video tutorials are completed you can visit to learn more meaning data which will be possibly helpful for you. Dear friend stay up to date with us with our brand new updating our news everything about us just follow us to our social networks. Hello everybody hope my video help you much more in spite of that you need any kind of help please visit our official website computerpakistan.com or comment below this video we feel good to reply your query.